At the request of their friend Antonia, Wanda, Marty and Nina find themselves trekking up a snowy mountainside, in search of Toni's brother. Wanted by the mob, Cormac Vitali is hiding out in the Colorado Wilderness, where the ladies from OOPS finally catch up to him . . . freshly tranqed by a bounty hunter. 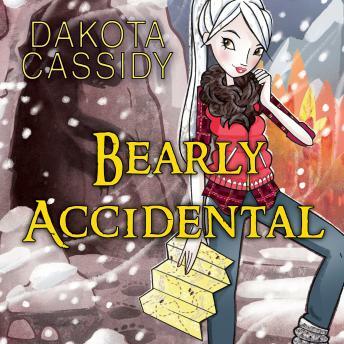 Bear shifter Teddy Gribanov realized that Cormac was her life mate about five minutes after shooting his big, muscly bod with her trusty dart gun. She'd be shocked by that revelation, if she weren't too busy getting stabbed, shot, and hunted down by a crooked cop and the Russian mob. Oh, and there's also her psycho ex, freshly sprung from the pokey, and hell-bent on making Teddy pay for putting him there. Sometimes love finds you when you least expect it, and when it's least convenient. Join Wanda, Marty, Nina, manservant Archibald, sweet zombie Carl, and demon Darnell as they hatch a plan to bring down everyone standing in the way of Teddy and Cormac's accidental happily ever after.